Home Phone Debate: Can VoIP Replace Your Landline? When comparing a landline to other phone types, it’s helpful to start by considering the advantages of using a landline phone. Does your landline unite your family or business under a single phone number? Do you value the features that your landline offers? More and more people are forgoing their hard-wired telephones, and only 45.9 percent of Americans still have landlines in their houses. While reducing your phone service to cell phone-only means that you’ll lose functionality, voice over the Internet (VoIP) phone services like Ooma can be a landline replacement. There are pros and cons in using VoIP services, and if you’re thinking about replacing your landline, here are four major points to consider. Many people choose a landline phone for safety reasons. You may already be aware of the widespread problems that emergency services have when receiving cell phone calls — dispatchers are not as consistently able to determine the location of cell phone calls as they can landline calls. In fact, a coalition of first-responders known as Find Me 911 reported that 81 percent of emergency call centers do not have “‘a great deal’ of confidence” in the location data they receive from wireless carriers. For example, in Washington D.C., there is a 90 percent failure rate for 911 dispatchers determining the accurate location of a cell phone call. Switching from landlines to cell phones therefore results in a downgrade of 911 functionality. However, Ooma VoIP phone service offers both 911 functionality and a free calling app for your mobile phone that gives you access to your home phone on the go. With Ooma’s 911 Emergency Services, emergency calls are routed to your local dispatcher instead of a national call center, and Ooma automatically relays your street address information to emergency services. While we all hope never to need these 911 tools, it’s prudent to plan for emergency situations where seconds matter or where callers may not be able to say their address. Whether you want high-quality audio for crystal clear conversations with family and friends, or so that your business communications are more professional, Ooma offers an unprecedented level of realism. While many VoIP phone services do not offer high quality service, Ooma’s PureVoice Technology uses an array of behind-the-scenes technology to prioritize call clarity, including advanced voice compression, adaptive redundancy, and wire-speed quality of service. 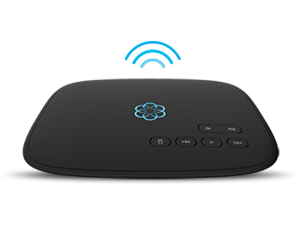 Ooma service also includes patented HD Voice technology, which captures up to twice as much audio content. We haven’t met anyone who stays with their landline service because of the price and the low cost of VoIP phone service is a main reason that many people switch. Ooma’s residential phone customers report an average of $1,167 in savings on phone service over three years, and our business phone customers report an average of $6,185 in savings over the same period. 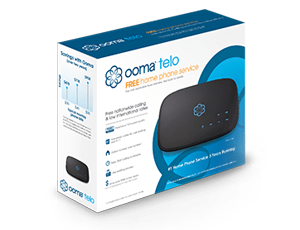 For residential phone customers who are using the Ooma Telo, Basic service is completely free, after paying just a few dollars a month for taxes, and Premier Service costs just $9.99 per month on top of that. For business phone customers who are using Ooma Office, service costs just $19.95 per month. On landlines, telemarketing calls are notorious. This is because the automated calling devices and international calling rates have made it possible for scammers and salespeople to blanket-dial phone numbers with little cost or effort. The best way to combat this onslaught is to equip your line with a smart call blocking system, and Ooma’s customizable system has been blocking more than 1 million telemarketing calls per month. This feature is one of the many advanced calling features available with Ooma Premier service, which is available at the low price of $9.99 per month. With this blacklisting feature, users have complete control over their call blocking settings with the ability to block anonymous callers, known spammers, suspected spammers, and custom call blocking. There’s even a setting for contacts-only calling so that your phone will only ring when it’s someone you know. For more information about how Ooma can be an effective alternative to your landline phone service, visit https://www.ooma.com.